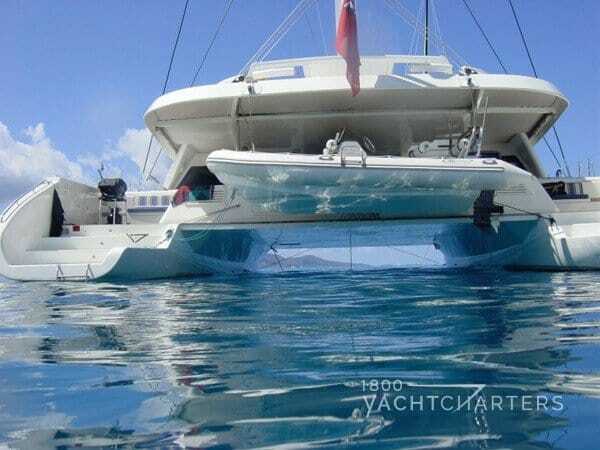 Scuba Diving included in charter fee! 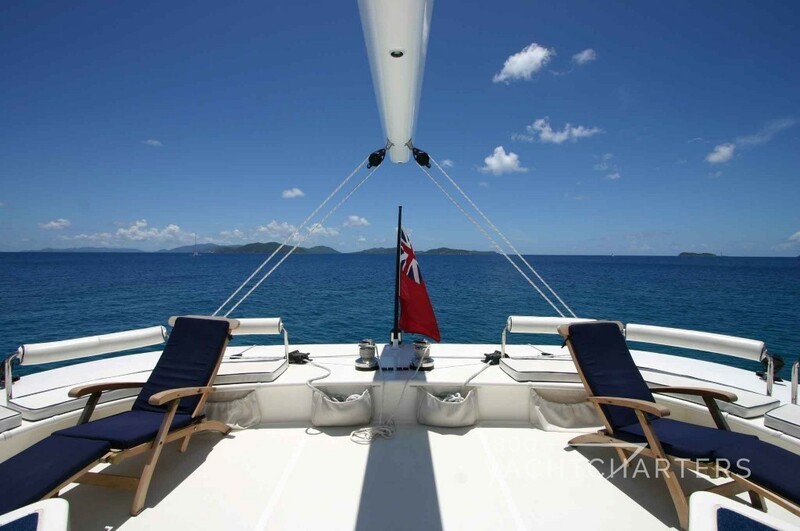 TWO (2) free massages per charter from onboard masseuse! 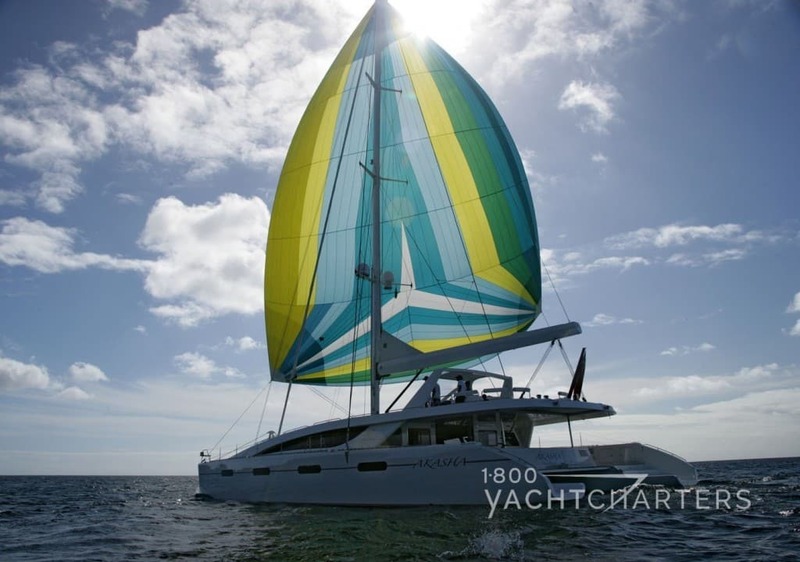 A luxury vacation onboard sail catamaran AKASHA is the perfect way to explore the Caribbean Islands. 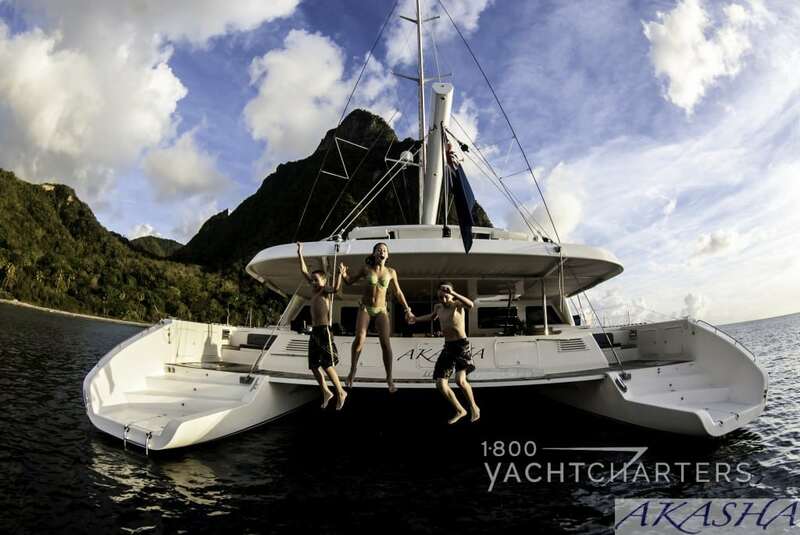 At 76 feet, the futuristic-looking crewed catamaran charter sail yacht AKASHA heralds a new era in luxury Caribbean yacht charters. 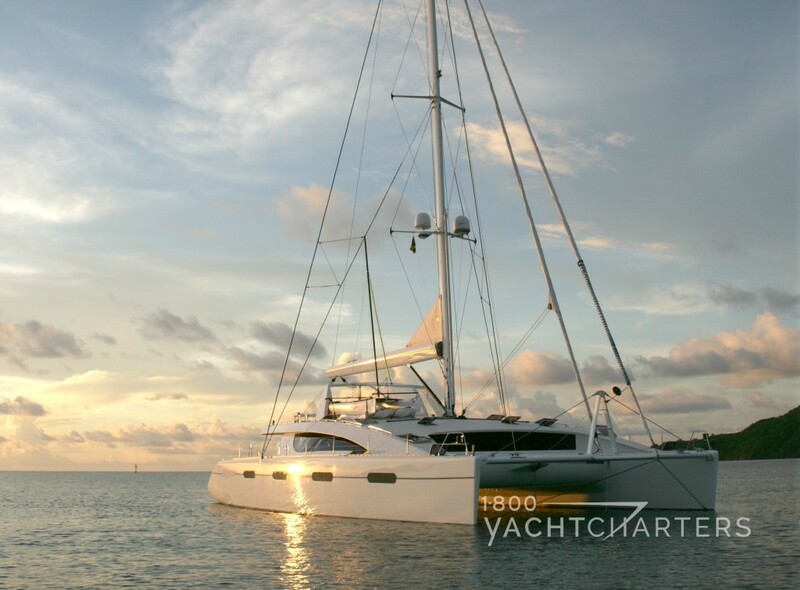 Her name means “infinite space” in Sanskrit, and this yacht is one of the largest and most spacious luxury sailing catamarans available for charter in the Caribbean today. 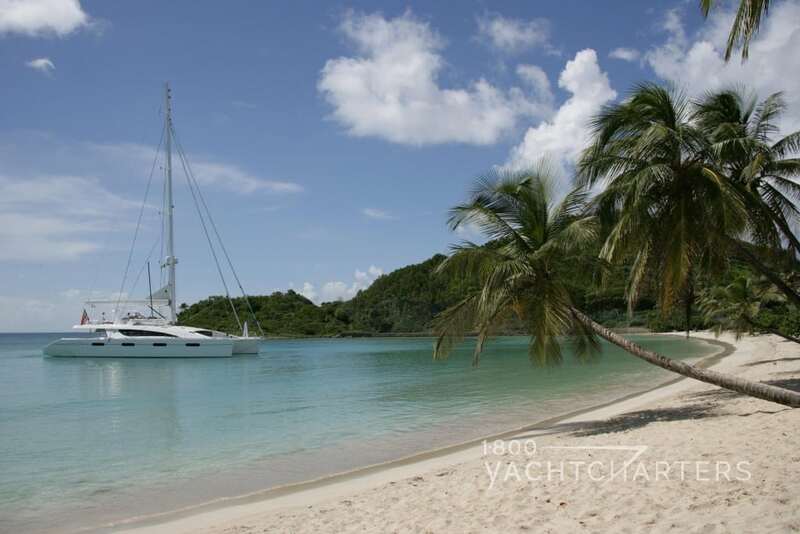 SCUBA for certified divers is included in the charter price! 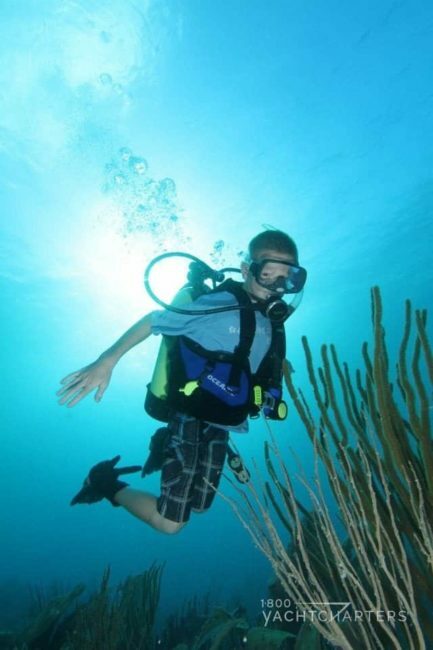 Resort and scuba referral courses also available. 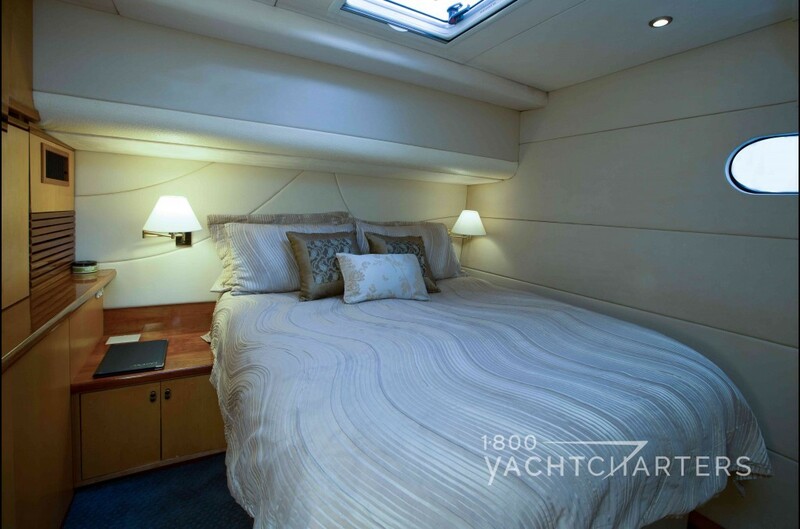 The stunning, contemporary design of sail catamaran AKASHA with her 39ft beam creates an impressively large living space, unrivaled in her class. 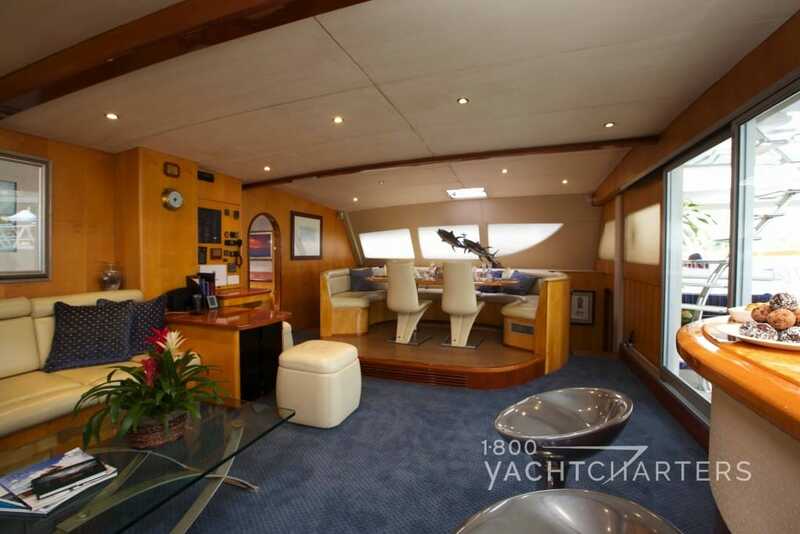 Even with ten guests on board, everyone can find their own private space. 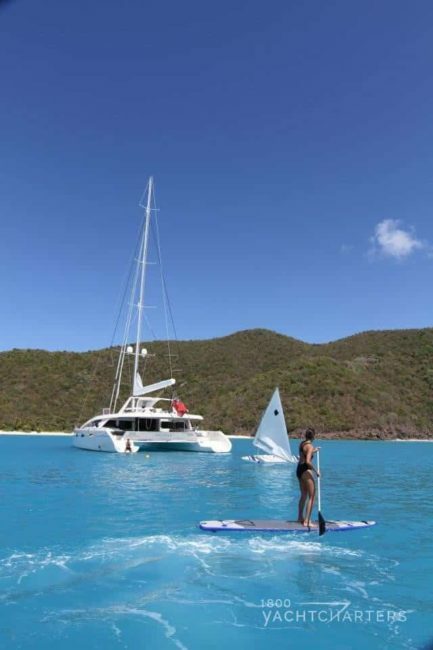 This charter vessel is designed to offer all the amenities of a luxury hotel package with the thrill and excitement of a modern sailing vessel. 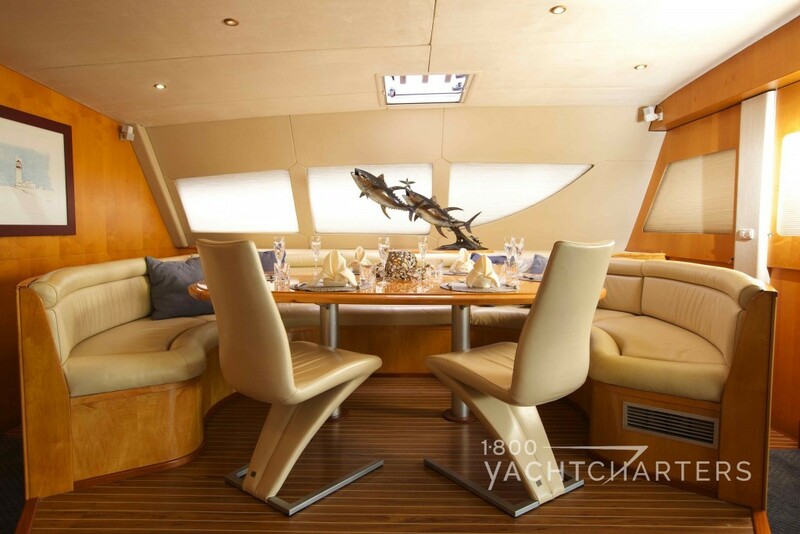 The yacht’s cockpit area has a large teak table, which comfortably seats ten for al fresco dining. The area is framed by cushioned seating and two large double mattresses for relaxing in the shade. 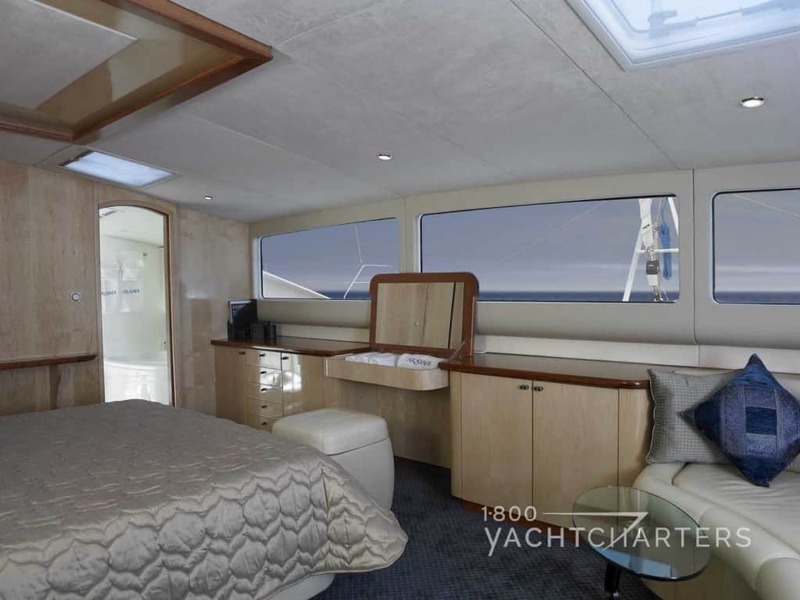 Upstairs from the cockpit area, the catamaran’s unique flybridge provides another large relaxation and sunbathing area complete with cushioned seating, sun loungers, a refrigerated bar for refreshments and 360 degree panoramic views. 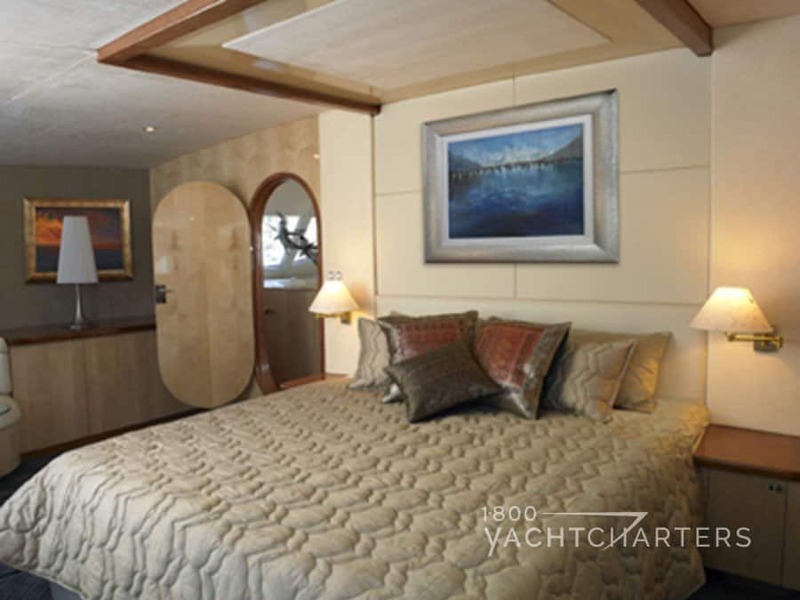 The yacht’s master cabin never fails to impress with cabin windows running the entire width of the vessel, offering panoramic views of the beautiful Caribbean Sea. 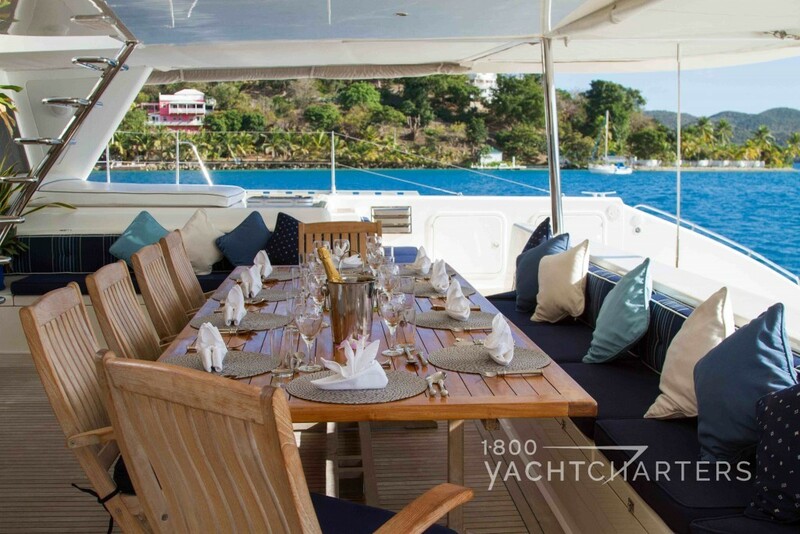 Accommodations offer space for a group of up to 10 guests, and there are nearly no limitations as to which islands may be visited during a charter holiday, including the Grenadines, British Virgin Islands (BVI), St Martin, and Antigua.